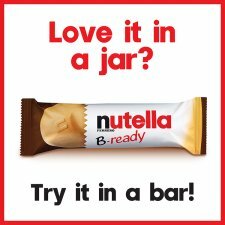 Love Nutella in a jar? Here it is, in a bar! 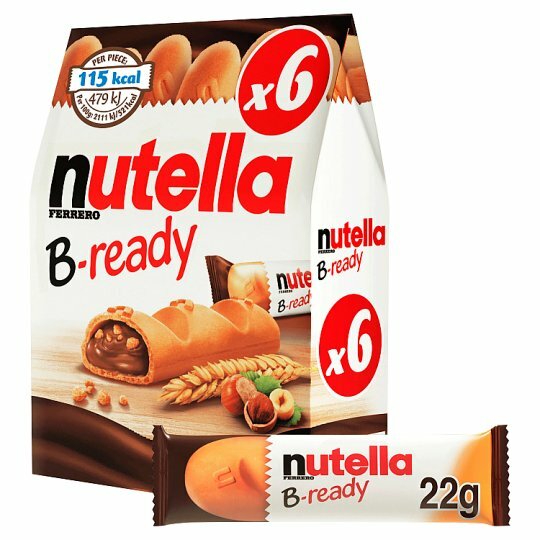 Introducing Nutella B-ready, a crunchy wafer shell baked to perfection filled with delicious Nutella and sprinkled with puffed wheat crispies. The perfect way to bring a smile to your mid-morning break. 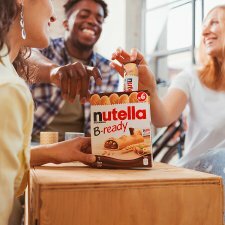 Individually wrapped and all for less than 120 calories! 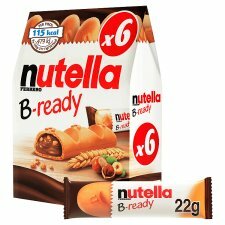 Available in a single bar or pack of 6. Perfectly baked for an elevenses break!